Canadian pensions: should we be forced to save? The debate over pension contributions is in many ways Canada's answer to the U.S. battle over Obamacare. But there is strong evidence that shows the only way to avert a major shortfall of pension benefits is for government to force people to save for retirement, writes Don Pittis. Should your government force you to save for your own retirement? In some ways, this is Canada's answer to the U.S. battle over Obamacare. In a polarized political climate, both debates are inevitably ideological. 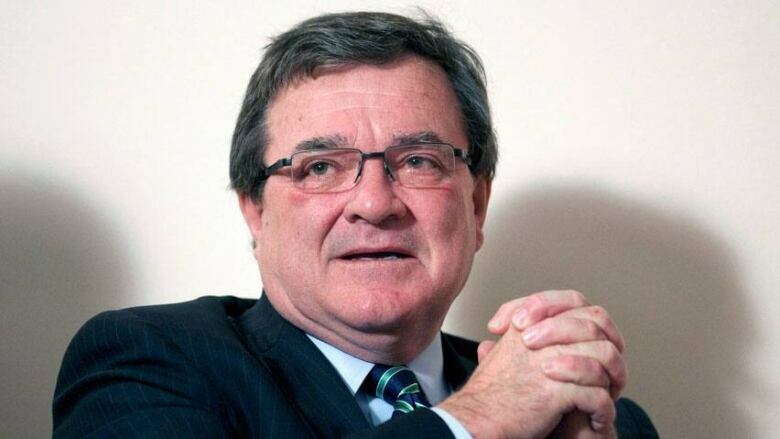 At the same time, both have decidedly practical implications, something Finance Minister Jim Flaherty will have to address when he meets with provincial counterparts later this year. The passionate objections to universal medical care south of the border are a bit of a mystery to most Canadians, but they seem to come mostly from those who are very well off, thank you. In fact, the profile of the Tea Party crowd that is so opposed to Obamacare show they are older and richer and already have their medical expenses covered. In the pension debate, there is some of that, too. Certainly the conservative politicians who oppose an expanded Canada Pension Plan system are safe under an umbrella backed by your taxes. Just as in the States, there may also be some push-back from the powerful interests in the private sector, who currently profit from the retirement savings industry. But the ideology is not just one of the haves refusing to share with the have-nots, because in well-run pension plans — whether government or those like the Ontario Teachers’ Pension Plan — a big chunk of the money comes from you. Even the share paid by your employer comes from you, because to your boss, it is part of the cost of keeping you as an employee. The real ideological question seems to come down to the one I started with. If it is your money, why should governments be allowed to tell you what to do with it? It may be that investing is just too complicated, and that if we had a safe and reliable voluntary pension system we would all willingly contribute. That is the justification for the voluntary pension plan idea backed so far by the federal government. But would it work? Too bad we couldn’t try it on a small scale and see. But wait! We can. In fact, we have. Unbeknownst to most Canadians, such a voluntary pension system already exists. It’s called the Saskatchewan Pension Plan and you don't have to be from Saskatchewan to participate. Set up the by the provincial government 25 years ago to serve the roughly 50 per cent of people in the province who have no pension plan, the SPP has a proven track record. It has a management expense ratio (MER) of about one per cent, excellent for a managed fund balanced between stocks and bonds. It is completely voluntary. So what percentage of those pension-less Saskatchewan people participate? "It would be low," said SPP spokesperson Bonnie Meier. A back-of-the-envelope calculation, based on government figures, shows that the number of working-age people in the prairie province who do not have a pension totals something over 300,000. Meier says the number of Saskatchewan residents paying into the fund is about 18,000. Meier says the number might be much larger if the SPP advertised, but it prefers to put its money back into the fund. There are also thousands of people from outside the province who contribute. And this shows the practical answer to the ideological question: If you don't compel people to save for the future, they simply don't bother. The brilliant thing about pensions like the Ontario Teachers and other well-run employee plans is not that the participants are getting something for nothing. It's that they are compelled to save money now so they can spend it when they are older. People who work in Canada already have a compulsory pension plan, the CPP (or the Quebec Pension Plan in that province). The money is safe and the fund well run, but the annual $12,000 it pays (as a maximum) hardly covers rent in Canada's most expensive cities. We also have a second compulsory pension plan that no one notices. That is the tax money that will eventually go to support the people who did not save enough. The idea of millions of vampire boomers sucking the juice out of underpaid millennials has an ideology of its own. And that leads us to another way of looking at the issue of compulsion. Rather than asking whether the government should force you to save for your own retirement, it might be better to turn the question around. Responsible people might want to ask, Would you like the government to force everyone else to save for their retirement? Or would you like to pay for it?